President Joko Widodo gesturing as he arrives for an election rally in Jakarta on Saturday. THE home stretch starts here. With three days to go before voting starts, the last Indonesian presidential candidate debate yesterday proved a meek affair between President Joko Widodo and his running mate, Ma’ruf Amin, against Prabowo Subianto and Sandiaga Uno. Watching the debate live from the CNN Indonesia channel here in Kuala Lumpur, what was clear throughout was Joko and Ma’ruf seemed cool and composed against the combativeness of Prabowo and Sandiana when discussing issues under the theme of “Economy and Social Welfare, Finance and Investment, Trade and Industry” . With almost 196 million votes at stake this Wednesday, however, it is Joko who is the frontrunner, according to three polls, which partly explained the calm manner he and Ma’ruf possessed, knowing full well that their challengers need a knockout punch but failed to do so. Indopolling, Roy Morgan and Saiful Mujani Research and Consulting (SMRC) surveys early this month showed Widodo likely to win between 54 and 57 per cent of the vote, with Prabowo getting between 32 and 37 per cent. According to SMRC, only 6.3 per cent of voters remain undecided, down from as many as 25 per cent several months ago. Polls, aside, however, Prabowo will continue to hope that he can do a Donald Trump in his second attempt to be president with some reports, including his team’s own survey, showing he has closed the gap in terms of support. This confidence is partly down to what happened in the last polls in 2014 when Prabowo lost narrowly with Joko winning 53 per cent of the votes. This time around, what separates the candidates is Joko has been at the helm for five years and he has defined the challenge posed by Prabowo as between team optimists and pessimists, thereby making out a clear line of choice for the voters. This observation was made near the end of the debate after Joko and Ma’ruf appeared satisfied that they were able to explain and emphasise their plans and achievement while parrying Prabowo and Sandiaga’s efforts to instil doubts against them. Given the nod to open the debate, Prabowo said Indonesia under Joko is heading in the wrong direction with national wealth going out of the country. He also spoke about problems stemming from failure to produce local products, while Sandiaga stressed the complaints of people in rural areas having to face a higher cost of living, which mean that this year’s election is a referendum on the state of the nation’s economy. “At the moment we are not producing anything, we only receive production materials from other countries. 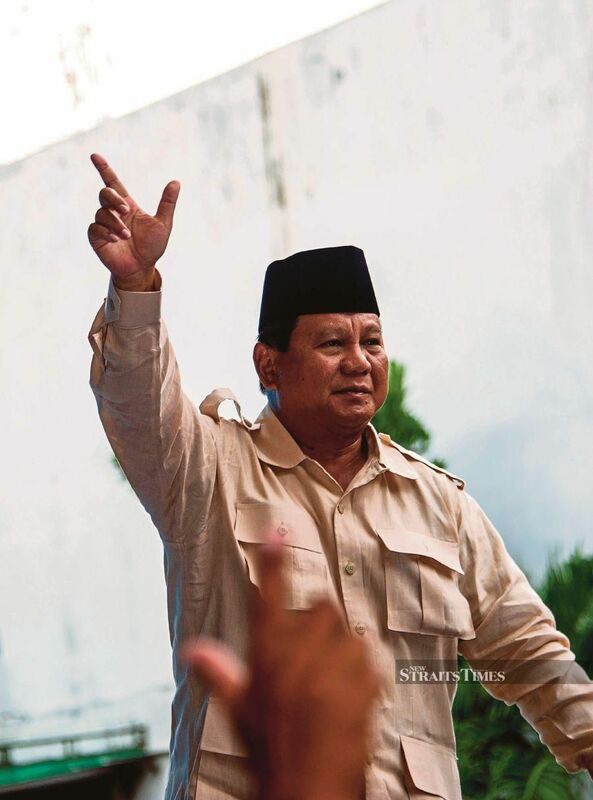 We should correct this,” said Prabowo. Joko, in his reply, emphasised his efforts with Vice-President Jusuf Kalla to boost economic growth with infrastructure projects, big and small, in urban and rural areas, in and out of Java which benefit all while also coming out with subsidised programmes to lessen the burden of workers, students and families when dealing with the cost of living. “With infrastructure, we want new sources of economic growth outside Java whether small industries or those that improve rural folks life which can help the economy overall,” said Joko. On the question of the welfare of farmers and fisherman linked to low prices of commodities and how to overcome it while also dealing with other development policies, Joko said the dependence on overseas markets is once reason why steps should be taken to produce more local products for export. Here Prabowo criticised Joko’s focus on infrastructure projects which has seen more money flowing overseas and pointed to China that has succeeded in overcoming poverty in 40 years of economic growth while protecting farmers and fishermen at the same time. Joko replied that all economic activities must be weighed according to micro and macro needs, involving human resources, structural reforms, technology and innovation. Ma’ruf comes into his own on the subject of zakat and waqaf when stressing that those interested in waqaf should also be thinking about waqaf involving land, not just money and that it’s a matter of intensifying waqaf activities since Indonesia already has an organisation that handles them. As for Prabowo and Sandiaga, they proposed the establishment of a Tabung Haji to better manage the haj and the possibility of making Jakarta a hub for Asean finance on a par or better than Kuala Lumpur, Hong Kong and London. The closing arguments by all the candidates were probably the most eye catching. Joko said he and Ma’ruf are team optimist by expressing confidence that a new five-year term by the people will allow them to solidify the achievements of his administration. “To be a developed nation, we must face challenges, we must be grateful... do not fear problems, we must confront them, it is often fear that makes them difficult to overcome... don’t be a pessimist, always an optimist... do not hate each other, we are 1Indonesia,” said Joko. Sandiaga’s closing speech contained a surprising promise that he and Prabowo will give their salary back to the country, appealing to the young to the old to support them’ before saying ‘your turn, bro’, for Prabowo to give his last take on the night’s debate. Prabowo then urged the voters to support his bid for the Presidency that if people want to see prices of goods go down, the electricity bill reduced, so too cost of living, then vote for him and Sandiaga as he and his running mate will protect them. What Sandiaga said about giving back his salary or about the establishment of a Tabung Haji could probably be termed as a last ditch effort to show he is not your usual politician but with a few days to go it might not make a difference like he and Prabowo are seeking at this late hour. Whether there is a winner last night is hard to say. This will be decided on Wednesday. Over to the voters. The choice is between the optimist or the pessimist.